Many men and women have dental crowns. In fact, according to the American Academy of Implant Dentistry 15 million people in the United States have crowns to replace missing teeth. 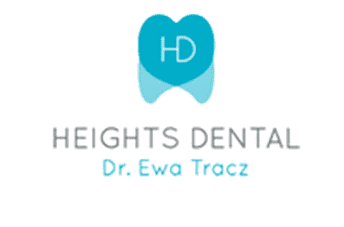 Ewa Tracz, DDS and the team at Heights Dental NY are highly trained and ready to answer your dental crown questions. Call or schedule an appointment if you think you might need a crown. 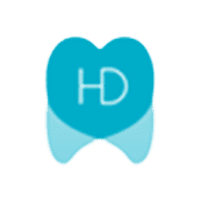 Heights Dental NY is conveniently located in Brooklyn, New York. A dental crown is also called a "cap." It's placed on top of a damaged tooth. It is sculpted to the shape of the original tooth and can improve its appearance and strength. The crown is placed on top of the original tooth, completely covering the area of the tooth that can be seen above the gum line. It's sealed in place with a special cement. There are a number of reasons why Dr. Tracz might recommend a crown. A crown can cover a dental implant or a discolored or oddly-shaped tooth. A crown can do more than improve the appearance of a tooth. It can protect and hold together a weak tooth. Crowns can strengthen teeth that have been weakened by excessively large fillings or that are in danger of breaking. The material used depends on a range of factors. For example, stainless steel is the most common material for temporary crowns. Stainless steel crowns are incredibly durable. Prefabricated stainless steel crowns are commonly used for children who need crowns on baby teeth. Metal crowns are strong and able to tolerate the force of chewing and eating, but due to their color, they’re usually reserved for use in the back of the mouth. Porcelain fused to metal crowns have a more natural appearance than metal crowns, but they do come with some downsides. For instance, the metal portion of the crown might show as a dark line close to the gums. The opposing teeth may also experience more wear than they would with another type of crown. A dental crown procedure generally requires at least two visits to the dentist. During the first appointment, your Heights Dental NY professional will take X-rays to assess the health of the tooth that requires the crown. Next, Dr. Tracz will administer anesthesia, then build up or file down the original tooth so that the crown will attach securely. After, he will take an impression of your teeth. The impression will go to the dental lab and be used to create a custom crown. Dr. Tracz will create a temporary crown to protect your tooth until the permanent crown can be placed. Getting a dental crown can be a simple, easy process. To discuss your crown options, contact the experienced team at Heights Dental NY or make an appointment online.